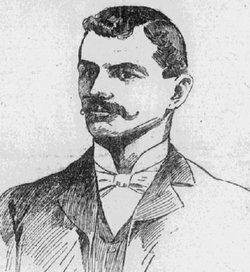 On this date in 1900, Joseph Hurst hanged in Glendive, Montana for murdering Sheriff Dominick Cavanaugh — whom Hurst had run against in the most recent election. A literal life-and-death ballot! The question generated a furious controversy in its time, inundating Gov. Robert Burns Smith with a record deluge of mercy appeals from around the American West. Newspapers drew up column-inches for vigorous briefs as to Hurst’s innocence or guilt. As is frequently the case, partisan political fissures reached all the way to bedrock disagreement about reality itself, for although Hurst expressed his innocence on the scaffold the respective sides circulated opposing contentions about whether he did or did not privately confess the crime in the end. A representative bit of the original newspaper coverage. More can be found in Officer Down, by Jim Jones. Helena Independent, March 30, 1900.